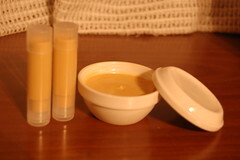 Concealers covers up blemishes, unsightly red spots, pigmentation and freckles. Many beauty editors use concealer and skip the foundation completely. 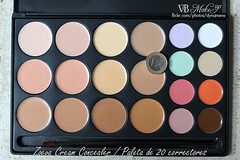 Yet most women shy away from using concealers because they do not know how to get the right shade or apply it correctly. To properly apply concealer, you need to get the right shade which when blended will give you a flawless skin. For a natural look, work in by first applying a thin layer and gradually built the layers up for more coverage. Dot the concealer under the eye, use the pad of your middle finger to tap and blend it in. Never rub. Tap in the concealer on other uneven areas including the chin, around the nose and mouth if necessary. Use a fluffy brush to lightly dust loose powder over your face to set your makeup. Bear in mind that you should always choose a good concealer. So do not scrimp. Also, branded concealers have more shades to choose from. If you are out in the sun most of the time, look for a darker shade. If you stay indoors or am fair skinned, pick a lighter shade. Try out the shades at cosmetic counters in department stores. Just be sure not to get pulled in by the salesperson. Please read topic number 53 below for more details. My next topic for discussion is, "How To Choose The Right Shade Of Concealer." Spoilt little brat? A chubby child? Is it the mouth? Does it look crazy wild? Jeez! Looks like Chucky the maniacal doll killer! 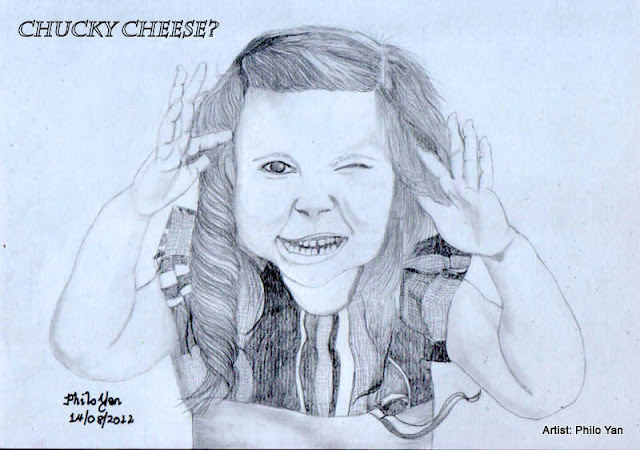 When I showed this drawing to dear hubby, he said it looked like Chucky Doll from the horror movie, "Child's Play." Care to comment? Thank you for looking and taking the time to read my blog. I welcome feedback and please feel free to share your thoughts or experience in relation to this topic.